You are currently browsing articles tagged greece. As much as I would love to have a perfect log and memory of every grape and wine that has passed my lips, the reality is so far removed from that aspiration that it’s equivalent to wishing for world peace.. and just as naive. Wine people love to romanticize “that first wine,” “that night they fell in love with Amarone” and “that unknown wine on the left bank of the Seine” but let’s be clear – this is about much more than wine. Wine people romanticize wine because that’s what they’re about. Beer people romanticize beer in much the same way. Flower growers do the same thing, and people in general romanticize youth like a bunch of Baudelaire devotees. That is normal and thank goodness everyone does romanticize their past. Life can use a whole lot more romance than it currently has and is likely to have in the near future. Can anyone please romanticize Excel and/or Powerpoint? Correct – and please don’t try. Because sometimes (and probably most times) it is much more important to enjoy the night, enjoy the romance of the moment and be utterly grateful that the moment exists and that you were there and can remember something of that moment, even if it’s imperfect, imprecise and heavily filtered by time. Precision and accuracy can follow to pick through the crumbs of the memory from the feast of the moment, and I wouldn’t have it any other way. Drank at M. Wells Steakhouse with Selenho. No further details available. Like a barolo with spice and more umami savoriness. Very smooth and long lasting – bit harsh on the finish on its own. Fragrant with medium body and floral and spice. Solid compliment to poutine. Spicy red fruit, like raspberry with spices. * Liatiko is actually named after the month of July (July = Iouliatiko in Greek, lingua franca of Astoria, NY). Ιούλιος is how it appears when you flip past June on your Greek calendar. 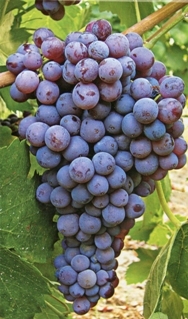 * Wine is grown on Crete – on the eastern part of the island – and is believed to be the most planted grape on the island. * Liatiko has very high acidity (up to 16%), which perhaps explains why it went so well with steak and lots of other delicious, rich foods. The waitress warned against this wine, saying that the wine, “Retsina,” was unlike any other wine. Most people send it back so she’d learned to caution those who ordered it from repeat rejections. 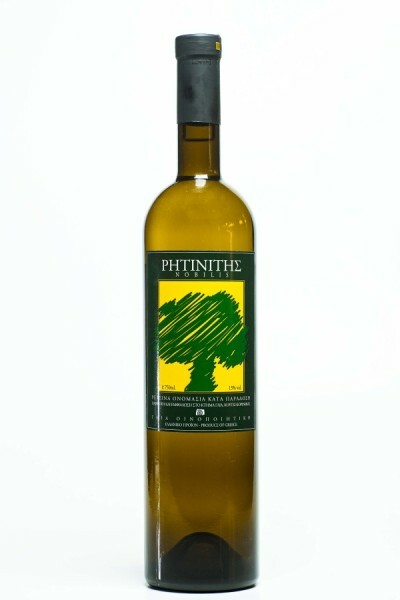 Retsina really was unlike any other wine, just by smelling you knew something was different. Pinesol. Straight up Pinesol. No other wine smells (and tastes!) like Pinesol and unless you know what to expect, it’s like gulping vodka when you grab the water bottle after exercising only to discover that your roomate put the Absolut in the Dasani bottle. True story. 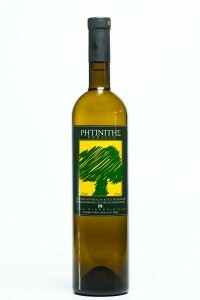 Retsina dates back to the time of Socrates, Solon and Pericles. In fact, it shows up in Plato’s Symposium, a fact noted in more than one academic publication. When Plato was sitting at Socrates’s knee, writing down the words of wisdom, Socrates was throwing back Retsina wine and burping up pine and eternal questions. Retsina wine predates barrels, so the Greeks made due with pine resin to preserve their grape juice and ferment it into wine. Already in the first century, the Romans were griping about the taste of Retsina and decrying the use of premium grapes in Retsina wines. Anecdotal history even says that when the Romans invaded, the Greeks intentionally put pine resin in their wines to avoid the Romans from stealing their wine. Pinesol, straight up Pinesol with a hint of mint on the burp. Few outside Greece enjoy it but I’m a sadist who smells like a pinecone. * Lots of grapes can be made into Retsina. Roditis, Savatiano and Assyrtiko are the most famous. * Roditis is a late-harvester but still retains high acidity levels, which is why the Greeks in the Peloppenesian islands, especially the northern islands, adore it. * Every part of Greece is a productive winemaking region. Economists disagree.